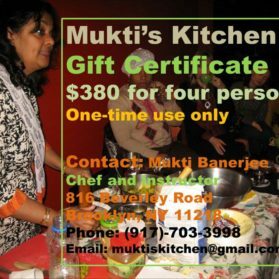 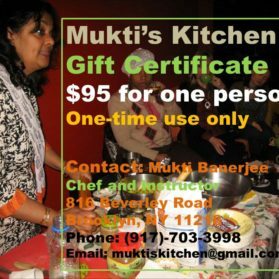 $190 Mukti’s Kitchen Gift Certificates. Good for two (2) people to attend one (1) 3-hour regular session. 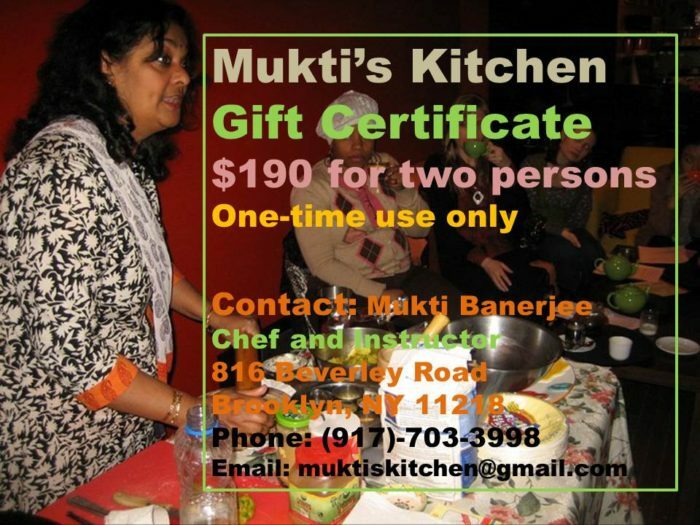 $190 gift certificates are good for two (2) people to attend one (1) 3-hour regular session.